Hypertension is also called as High blood pressure. Hyper meaning High and Tension meaning Pressure. Pressure is the force generated when the heart contracts and pump blood through the blood vessels that conduct the blood to various parts of the blood. Hypertension, or high blood pressure, is a persistent blood pressure above 90 mm Hg between the heart beats (diastolic) or over 140 mm Hg at the beats (systolic). Hypertension does not in itself give dramatic symptoms, but it is dangerous because it causes a highly increased risk for heart infarction, stroke and renal failure. There are two major types of hypertension: Essential or primary hypertension and secondary hypertension. Primary hypertension is the most common condition, found in 95 per cent of the cases. It has no definite cause. There are several factors that may act in combination, causing the blood pressure to increase. Secondary hypertension is found in five to ten per cent the cases. 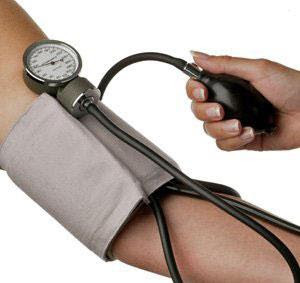 Here, the increase in blood pressure is caused by a specific defect in one of the organs in the body. Treating the affected organ can control or cure the hypertension. An increased tension in the blood vessel walls. An increased blood volume caused by elevated levels of salt and lipids in the blood holding back water. Hardened and inelastic blood vessels caused by arteriosclerosis. Stress at work and in the daily life. Giddiness, Dizziness and a Feeling of Instability. Insomnia (inability to sleep well). Hypertension is only determined through a blood pressure measurement equipment and reads the systolic and diastolic of the blood. There is actually no identified sign of hypertension; rather, it varies from one person to another. Some people report to have experienced headaches, fatigue, dizziness, blurring of vision and facial flushing. Symptoms only surface when signs of end-organ damage are determined or are possible; otherwise, the condition is still considered accelerated hypertension. Malignant hypertension, on the other hand, is caused by increased intracranial pressure. These could be diagnosed through retinal examination. 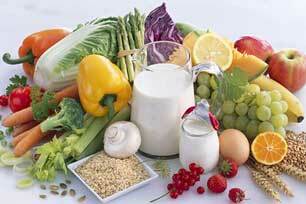 When lifestyle measures and supplements are not enough to cure the condition, medical treatment must be applied. Diuretics, or medicines to increase the urine production, are used to decrease the water content in the blood vessels, and thereby reduce the pressure in the vessels. When the water content is lowered, the heart does not need to pump so hard any more, and this will also reduce the pressure. Beta-adrenergic blockers are another group of medicines to treat hypertension. This group of medicines block the signals that hormones and neurotransmitters give to the vessel walls, and the vessel walls then relax. They also slow down the heart rate to give a lower pressure exerted by the heart upon the blood. Various forms of exercise that is isotonic and dynamic such as running, jogging, cycling, swimming, etc. The intensity of exercise is good between 60-80% of aerobic capacity or 72-87% of the maximum pulse-called training zone. Biofeedback techniques - Biofeedback is a technique that is used to indicate the subject of the signs of the state of the body that is consciously by the subject is not considered normal. Application of biofeedback is mainly used to treat somatic disorders such as headaches and migraines, as well as for psychological disorders such as anxiety and tension. The purpose of health education is to increase patient knowledge about hypertension and its management so that patients can maintain life and prevent further complications.